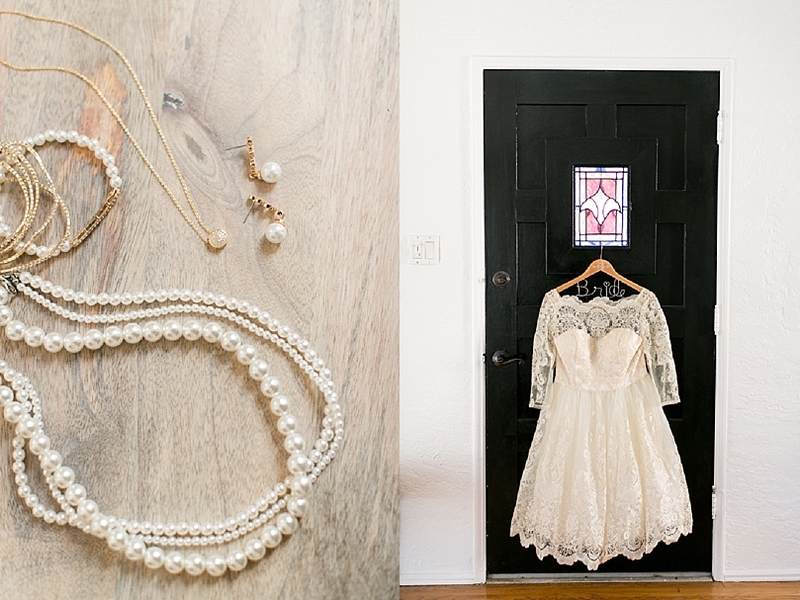 "Christianne & Adrian's wedding day was so sweet an intimate, with the perfect amount of style and details. These two have been together for fourteen years, so it was about time they tied the knot and made it official. 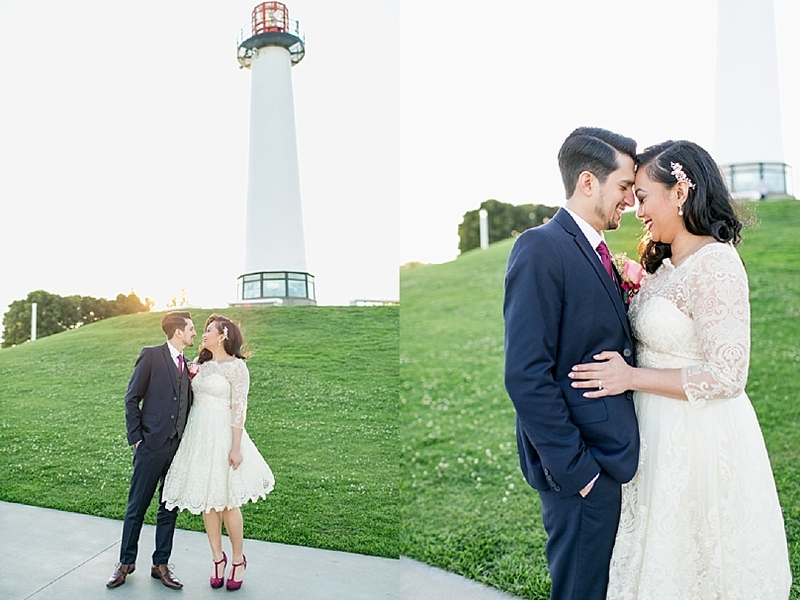 Christianne planned their sweet and intimate elopement in their hometown Long Beach, Ca. 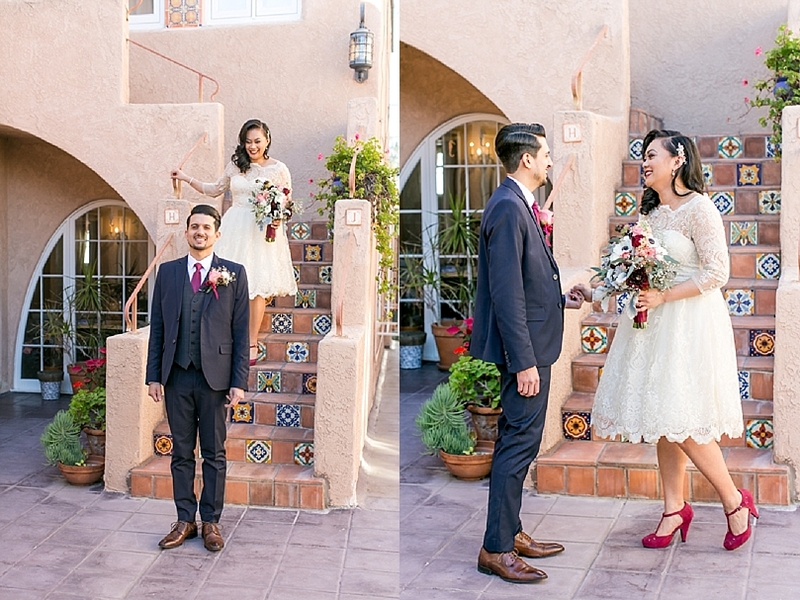 Adrian got ready in the couple's apartment, while Christianne got ready with her mom and sisters in a near by AirBnb. 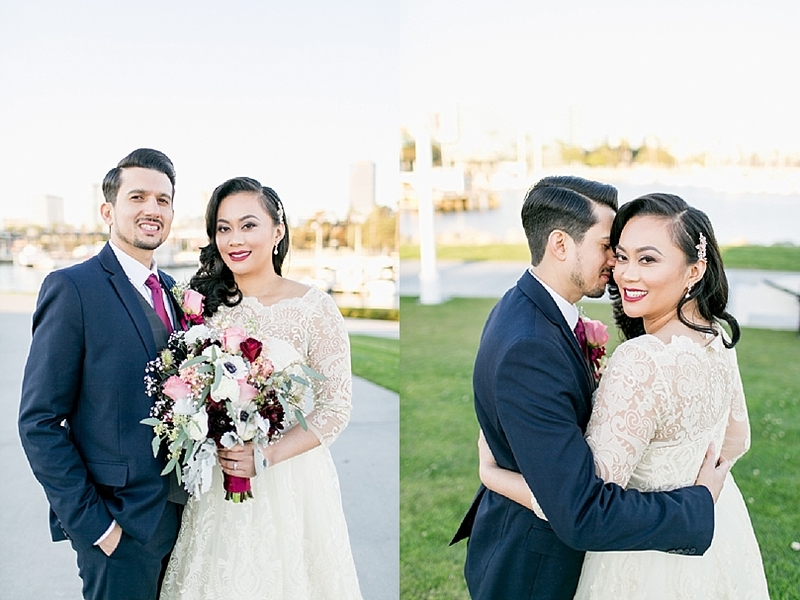 Only their immediate family was present, and they were married by a close friend of theirs in a spot they hold close to their hearts, Shoreline Village Park. 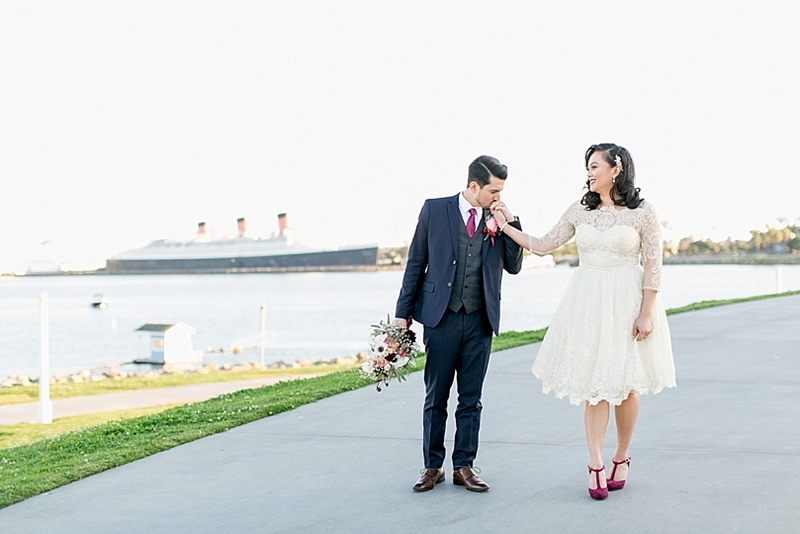 The spot overlooked the ocean and the Queen Mary dazzled in the background. 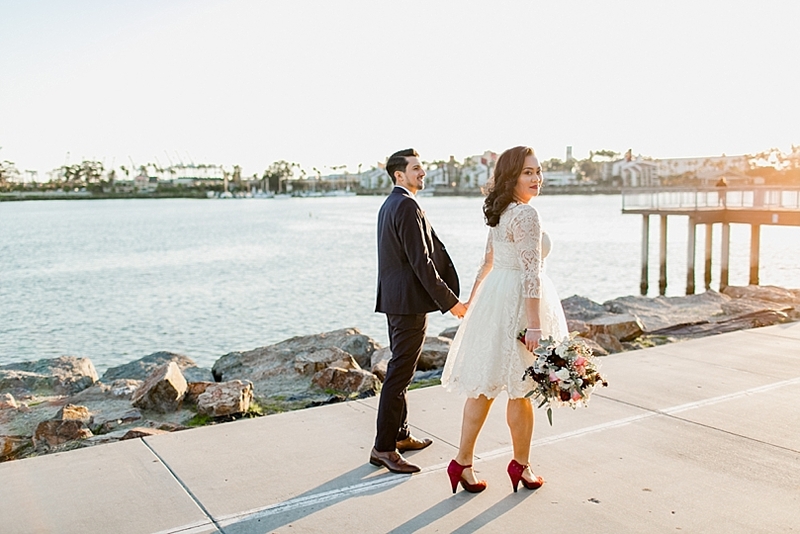 After the elopement ceremony, we took a few sunset photos and then the sweet couple left to celebrate with their family members and cut the cake at Naples Rib Company, one of their favorite restaurants. 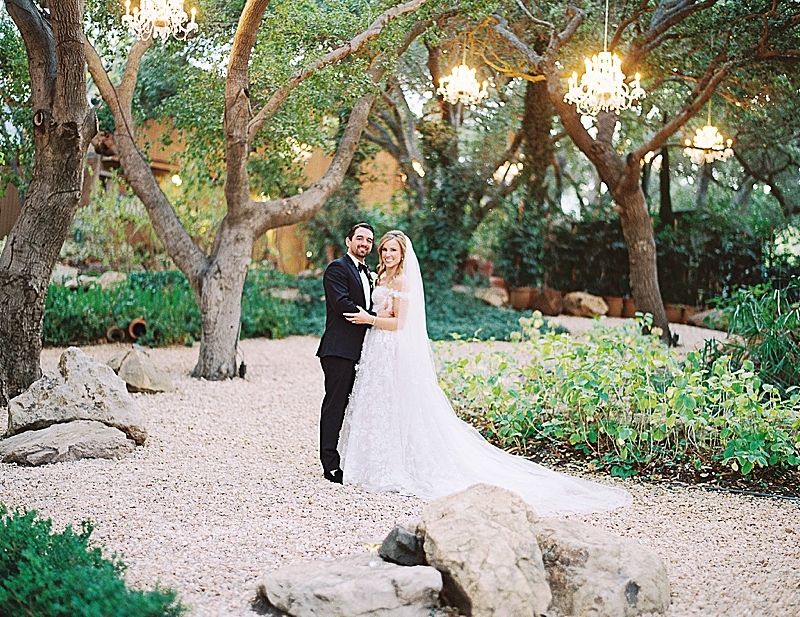 Throughout the day, there were many tears and the love between Christianne and Adrian was undeniable. These two were made for each other and have such a deep love that has grown over the years. 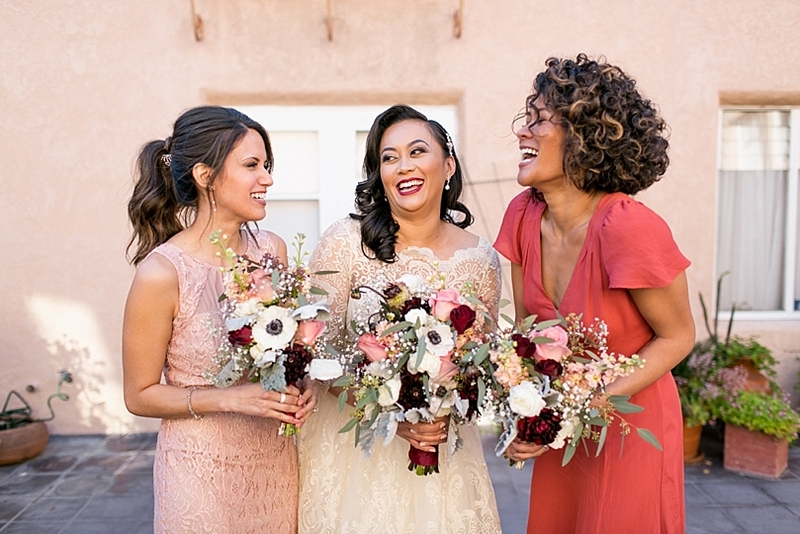 As an elopement photographer, one of my favorite things is getting to be part of such an intimate occasion, where only the closest family and friends are invited. It truly is an honor." 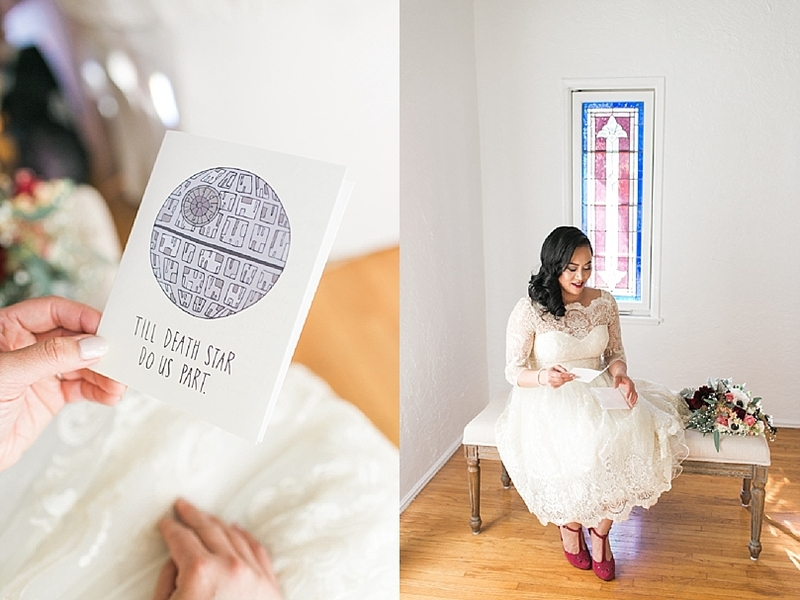 It was important for us to get married somewhere that had a lot of meaning to us on the day that was meaningful. Since moving to Long Beach a few years ago, we spend a lot of time walking/running along the Shoreline. 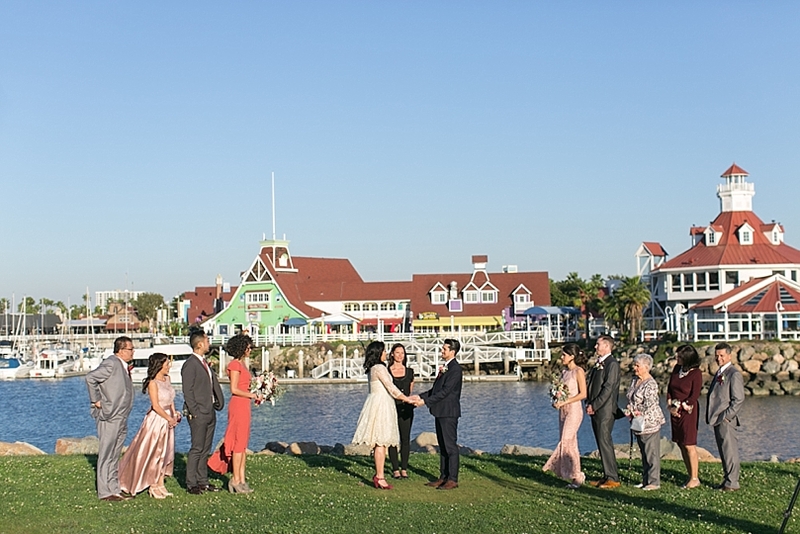 We admire the colorful buildings of Shoreline Village, the ocean view, the greenery of the Shoreline Park and we thought it would be the perfect back drop for our wedding ceremony. 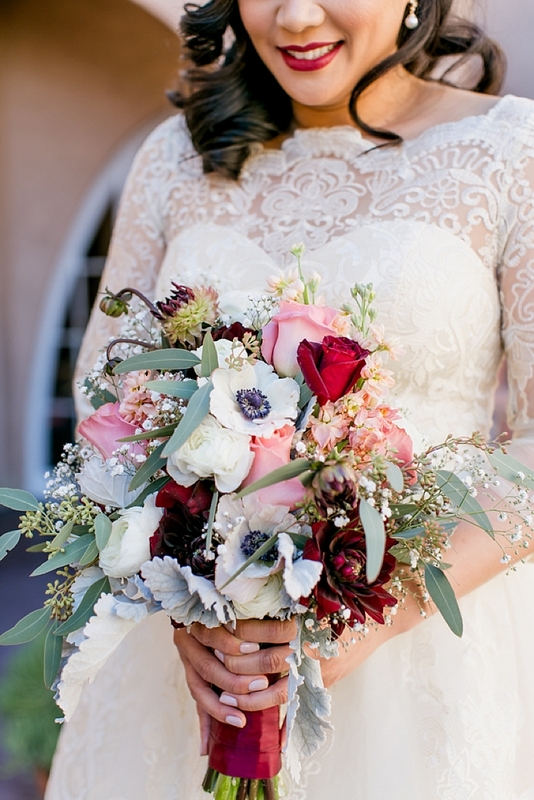 WHAT WAS YOUR MOST FAVORITE PART OF PLANNING? MOST STRESSFUL? 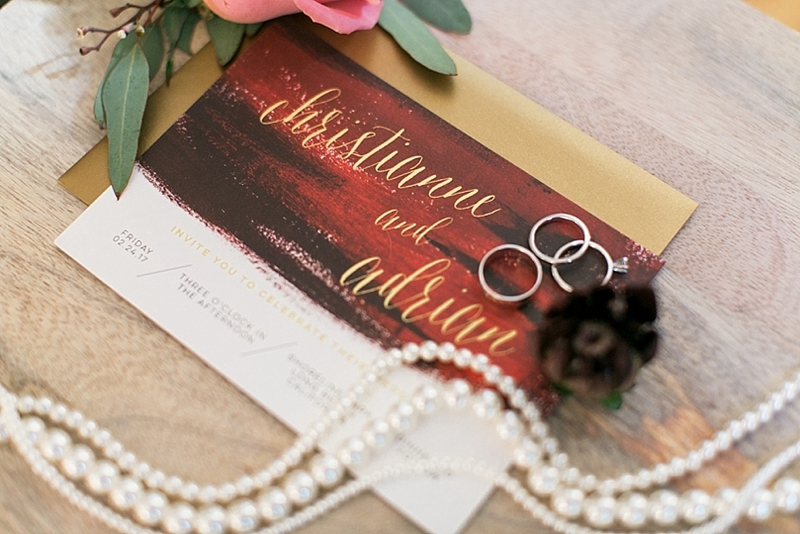 I loved planning our wedding and being a part of every step and decision. 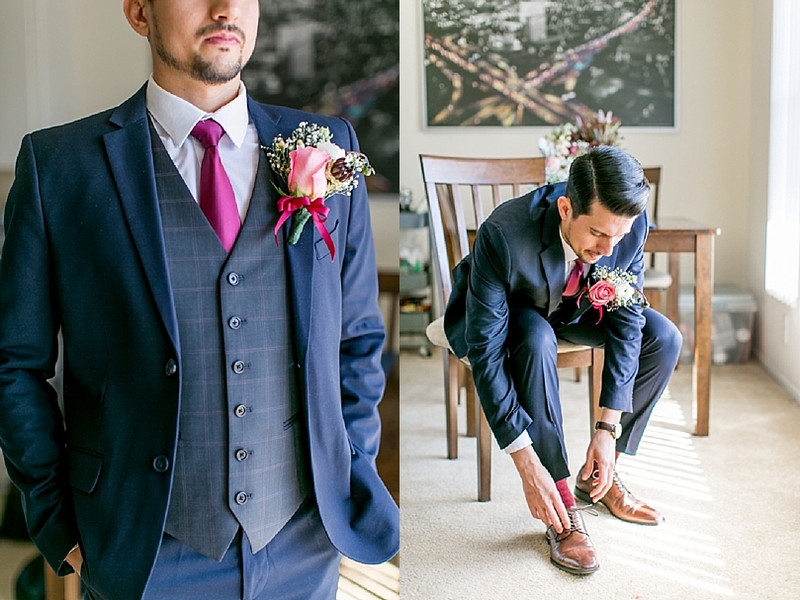 My favorite part of planning the wedding was watching all the little details finally come together to make our wedding day just the way we wanted it to be. 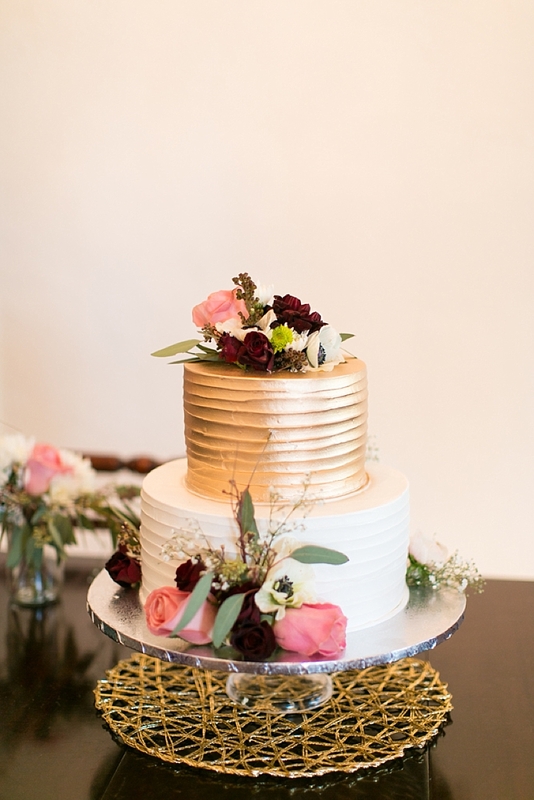 The most stressful part was at the beginning, deciding whether our not we should stick to the intimate wedding we had always imagined, or having a wedding with 150+ guests. We stuck with what we wanted, what we could afford, and what we would love. It was our plan to get married on/near our 14 year anniversary, 02/25/2017. So our engagement was only 2 months. I waited 14 years - why wait any longer? Our wedding day was special because it was the way we wanted it to be, where we wanted it, with our closest family - intimate and memorable. From the Spanish style villa we rented and decorated with little details like wedding photos of our parents and siblings and as a place for pre-wedding preparations, and post-wedding cake reception and where we spent our first night as husband and wife, to our wedding attire, hair and makeup created by close friends, to including my 14 year old miniature poodle in wedding pictures, to the beautiful floral arrangements my friend and I created ourselves the day before, to the ceremony performed by my friend who is an ordained minister, to the rings that his uncle (a jeweler) custom made for us, to the wedding dinner at Naples Rib Company where we stuffed our faces and enjoyed each others company, to the fine china belonging to my mother-in-law that we used for cake and tea after dinner... it was beautiful and it was perfect. 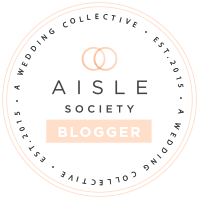 My best advice is to plan a wedding that you and your fiancé want - not what others want. 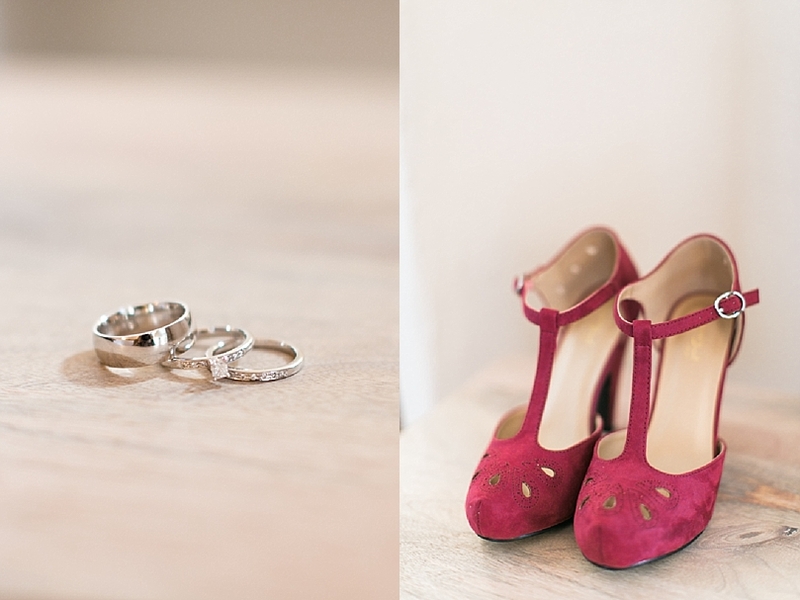 Because in the end, the wedding is a ceremony of commitment between two people and no one else. Do not plan a wedding that becomes so stressful or out of control that you cannot enjoy it or afford it. Wedding planning should be enjoyable. It is going to be one of the biggest days of your lives and it should be filled with as many lovely and happy memories as possible. My biggest regret is not having more time in the day to enjoy it even longer.